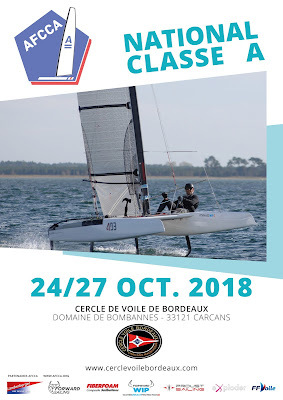 Report & main regatta schedule of the French A-Class Association sent by Thibault Laudren. Next week info on the Europeans & UK Worlds 2019 to be held at Weymotuh. 2018, year of the A Cat in France! - The official AFCCA website (www.afcca.org) has new categories and features to help new comers get their boat sorted and ready for racing. - Training camps are multiplying over France with 3 dates already scheduled in March & April. 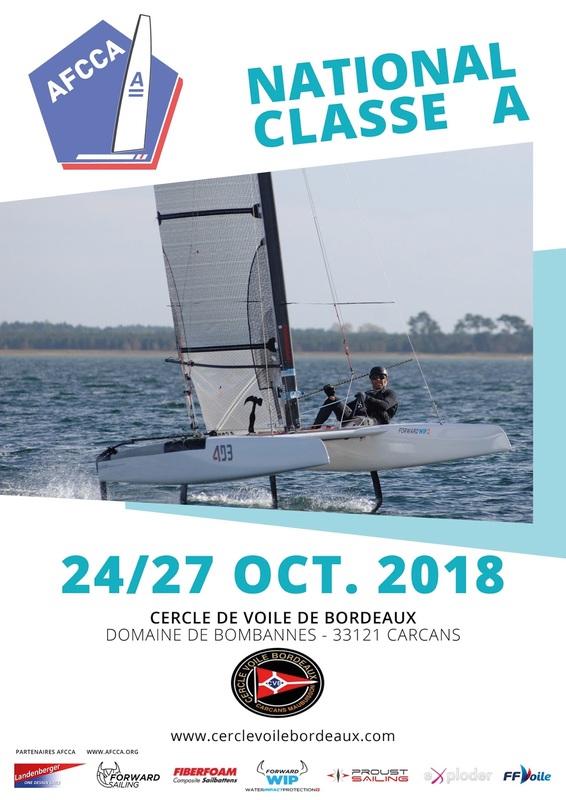 - The sailing calendar develops with a 3rd national regatta in Eastern France, at the Lac d’Orient. - The regional trophies have been reshaped by splitting the Med & East areas to keep emulating the regional fleets. - Two new memberships are available, supporter & sponsor, to open the class to those who don’t have a boat but also to our foreigner neighbours who are regularly joining us on our regattas and to those who wish to donate more, to help the AFCCA do more. - A grant of up to 500€ is available for the youngsters (under 30) to help them finance their participation to international events such as the European or World Championship. The AFCCA is already enjoying the benefits of these with a record of 91 members who have signed up since the 1st of January, among which 11 of them are new to the class. On that basis, the threshold of 100 members should be exceeded by the end of March. A good sign proving how attractive and dynamic the class is, with members who are evenly happy to race and share their experience than to welcome and advise new comers on how to the get the most out of their boat. The sailing begins in about 2 weeks from now, starting in Hyères on the 24th & 25th of March with La Baule and Strasbourg to follow. Worth noting that all regattas forming the AFCCA Calendar will be run under the double ranking system allowing both the “open” and “classic” discipline to sail together with a common start but enjoying separate rankings and prizes. This to provide fair racing, satisfy both disciplines’ interests while maintaining reasonable levels of logistics and resources for the organizing sailing clubs. In addition, a group of French sailors is already forming and very much looking forward to taking part in the 2018 European Championship at Warnemünde, Germany, from the 7th to the 14th of July. A good opportunity to meet the worlds elite, share experiences and raise their game before returning home for the 2nd half of the season. And before the year ends, a handful of AFCCA members will possibly travel down under to enjoy champagne sailing conditions and Aussie hospitality at the Hervey Bay Worlds from the 11th to 23rd of November. All in all, 2018 is certainly shaping like an exciting and exhilarating season to come with plenty to enjoy and play for. May all AFCCA members and A Cat sailors make the most out of it.